The lovely Organica asked me to explain the various customs and practises involved in Pakistani weddings. So I shall try to explain them as fully as I can. For those knowledgeable about these customs, please impart your fountain onto me should I err or inadequately explain anything. 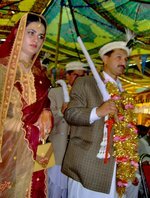 A typical Pakistani wedding occurs over 5-7 main events which can take place over 7 days in a row, but usually are spread over a few months/weeks. This entry will detail the Maniyaan and & Dholki events. This is basically the engagement and occurs after the bride’s parents approve of the groom and accept the wedding proposal. This can either be a lavish affair, or a small family only gathering. It involves exchange of rings which solemnize bethrotal and acceptance of the proposal and impending marriage. Typically the boys mother will choose the ring for the girl and put the ring on her and on the other side, the girls father will put the ring (chosen by the brides mother) on the groom-to-be due to conservative practise of no physical touching to occur prior to marriage amongst some families. After this there may be cake cutting, but if not will always involve a feast. The engagement is thrown by the brides family and expenses are incurred by them for the event, in terms of food and hall hire (if applicable). Some families may not undergo a formal engagement party. Other methods after verbal acceptance of proposal can include gifting the girl with clothes, jewelry or any other items from the family. The boy may also gift her with an item of his choosing. This marks the beginning of the waiting period, which could be a few weeks, or months or even years for the wedding day and events to come. 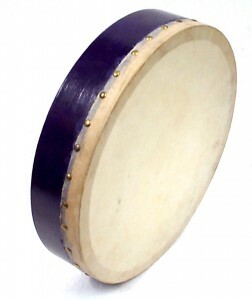 Dholki nights = dholki taken from dhol=drum, dholok = drumming. This occurs in the week leading up to the henna night and is a women’s only event. 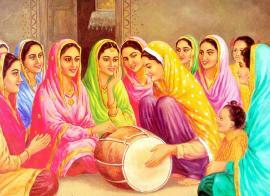 Women, old and young gather together, with one being the drummer and one sitting opposite her with a spoon or other metal cutlery, tapping away on the dhol according to the rythym of the beats. Sometimes a duff is also used. Punjabi dholak geet – The evening will start with female relatives and friends of the bride playing the Dholki and singing Suhaag, which are traditional Punjabi folk songs. Songs include ‘jokes’ about the in-laws, and would be husband, how to have a successful marriage and songs about the bride leaving her parents home. There is much merriment, laughter and teasing which takes place. The dholki is kept by both the bride and the groom’s family respectively, however they do not attend each others dholki nights. The only time when each family attend one anothers event begins from the henna/mendhi night.